Recently I took a trip to Aurora, New York to be immersed in the beautiful brand MacKenzie-Childs. For those of you that followed along on my Instagram, I know you loved it as much as I did and I have been anticipating sharing more of their gorgeous pieces with you! 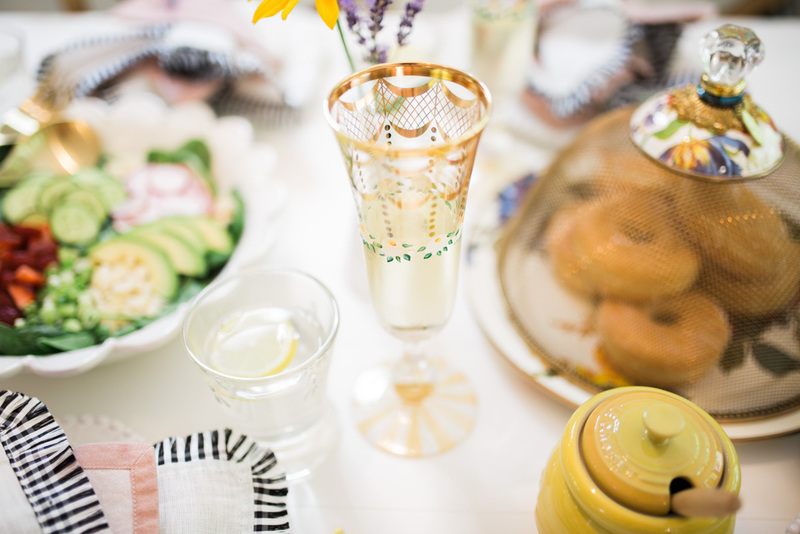 At the end of this blog post we are giving away a 3 quart Mackenzie-Childs kettle so make sure to read how you can enter to win! I genuinely could not wait to get these pieces from today’s blog into our home, as soon as I laid eyes on them I knew they were my style – the Flower Market & Sweetbriar Collections. I especially loved watching many of these pieces be made right in Aurora while we were there, more specifically the Sweetbriar Collection. 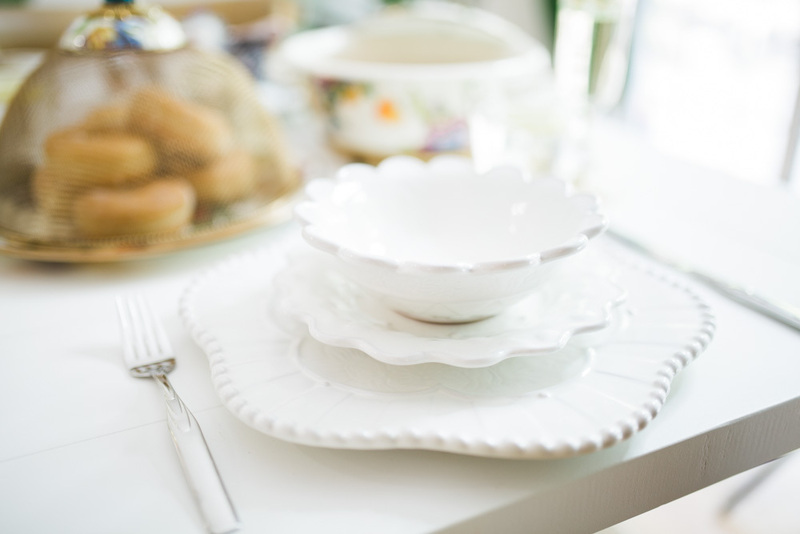 The beautiful white dinnerware pieces and serving bowl we used for one of our favourite salad recipes! 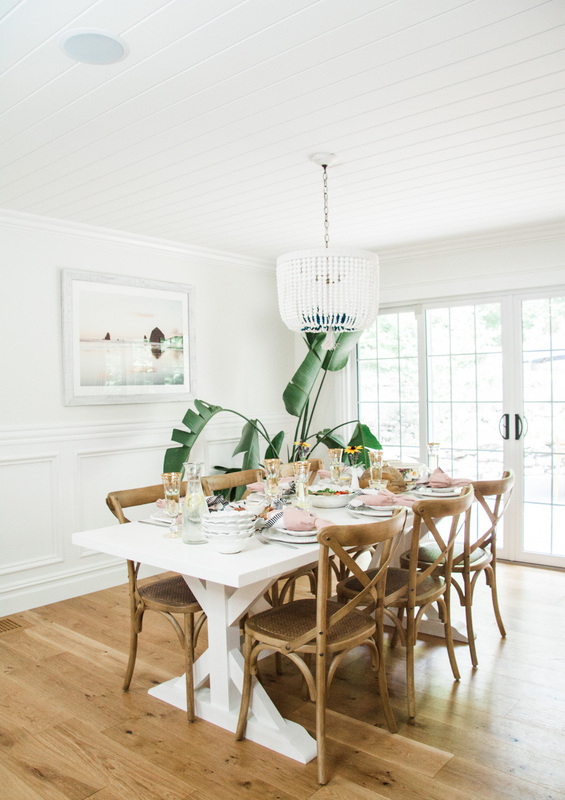 Over the spring we had a brand new farmhouse dining table made for our home, and this was our very first time hosting a brunch at home…well actually, our very first time even sitting down to eat at this table as we’ve also been patiently awaiting the arrival of our new dining chairs too haha! It was so fun to decorate the table with the pieces I so quickly fell in love with while exploring Aurora, New York with MacKenzie-Childs. 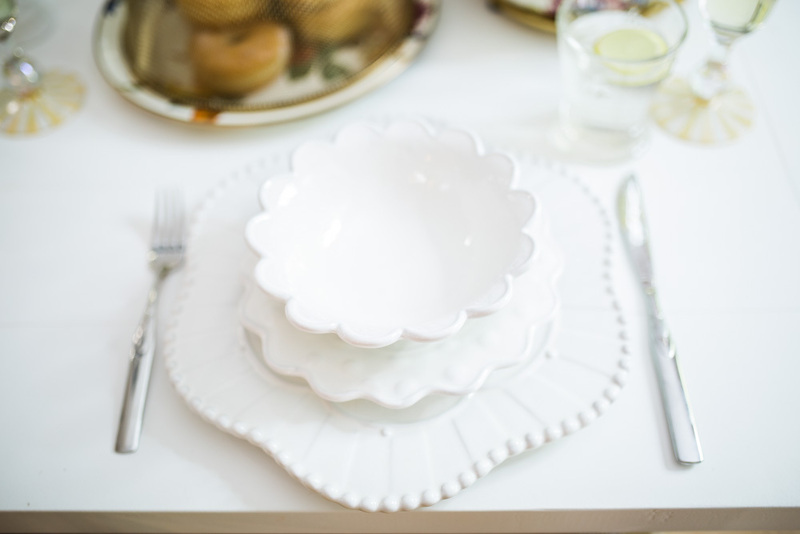 If you’ve followed along on my blog for years, you already know my love of scalloped pretty much, everything!!! The Sweetbriar Chargers and Small Bowls make my heart beat fast, they are elegant but strong dinnerware pieces – you can feel the excellent quality every time you touch them. 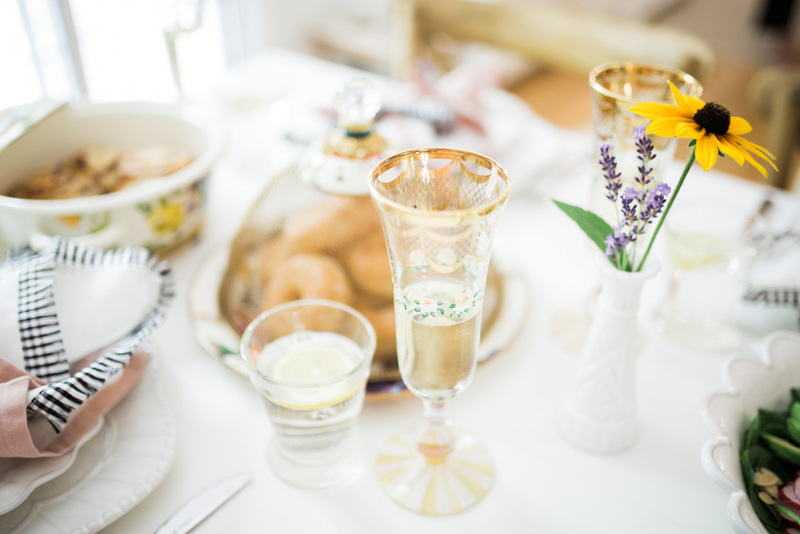 When we had our guests over for brunch they were in awe of each of the pieces – the details and characters, the uniqueness! It was even more fun to tell them all about the story behind this brand and the experience of learning it all, meeting the hard working people behind the brand and seeing the passion behind it. 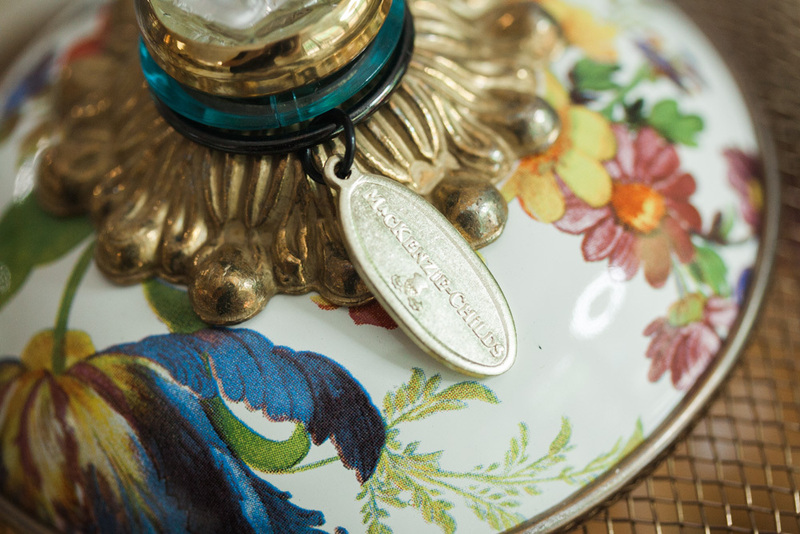 Every single person I met at MacKenzie-Childs had a light in their eyes when talking about the brand, many had been there for more than 25 years!! Local artists painting the plates and I even had the opportunity to paint pieces myself too, pinch me!! Hands down, my favourite MacKenzie-Childs collection when exploring the grounds and history was the Honeymoon collection, however the Honeymoon Collection has been discontinued (for now 😉 ). 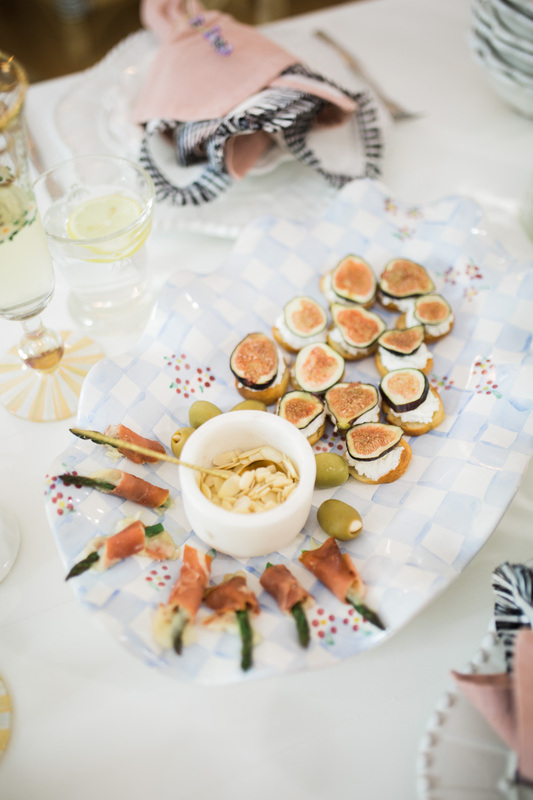 So, when we got to painting our pieces I knew I would attempt to replicate a honeymoon pieces or 2, so the light blue and white gingham platter in this shoot is actually the one I painted while in Aurora!!! I painted it with a lovely woman by the name of that has been working with MacKenzie-Childs for 35 years – can you believe it? I love stories like that! I am not going to lie, I shook the entire time I was painting this piece and the matching bowl I made (and had shipped to my best friend). 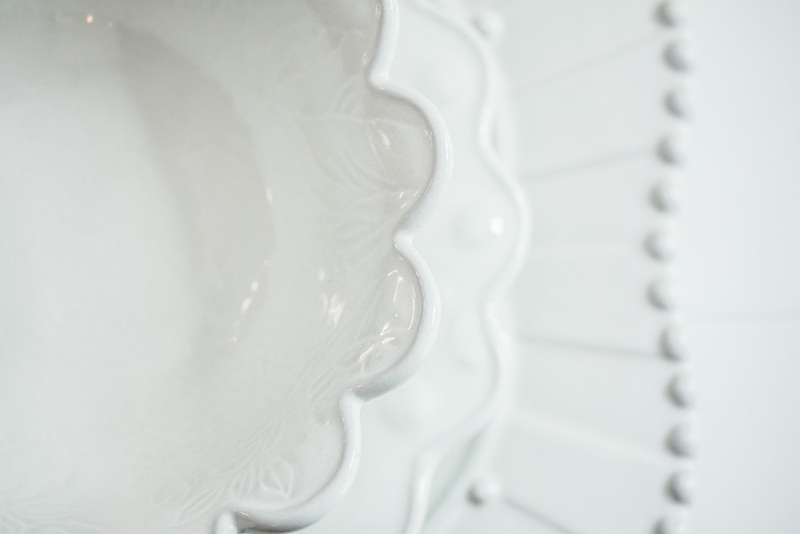 Doing artistry on scalloped bowls and platters takes true skill, I have so much respect for the team behind the beautiful MacKenzie-Childs pieces! 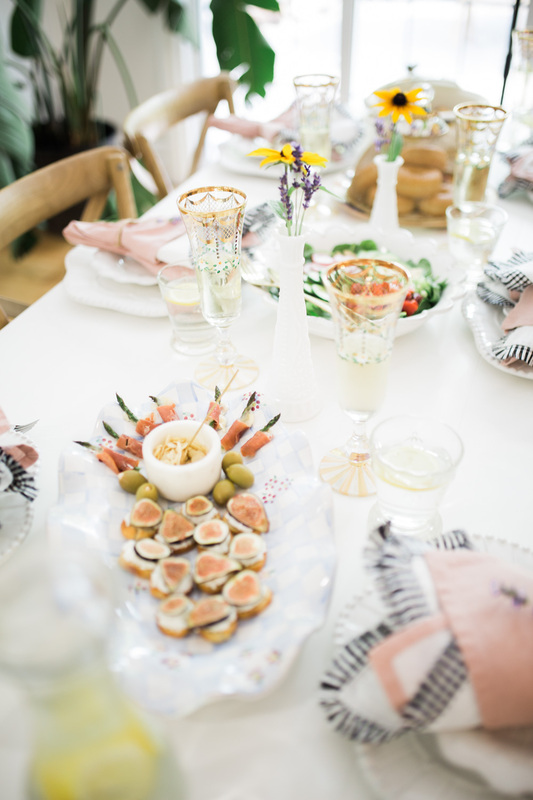 I absolutely LOVE layering dinnerware and linens so MacKenzie-Childs was perfect for our dinner table, I’m also a flower child/crazy plant lady so all of the floral detailing on their pieces make me swoon too! 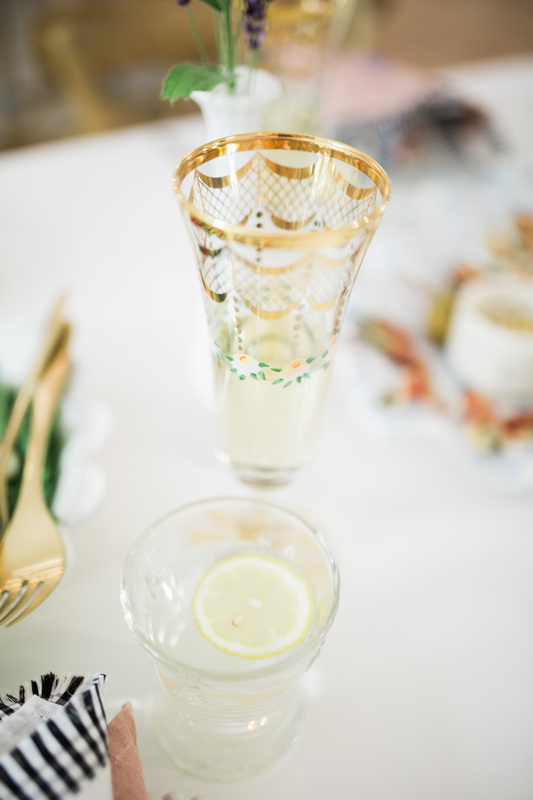 Like those champagne flutes? Have you ever seen anything more pretty!?!?! I am obsessed!! 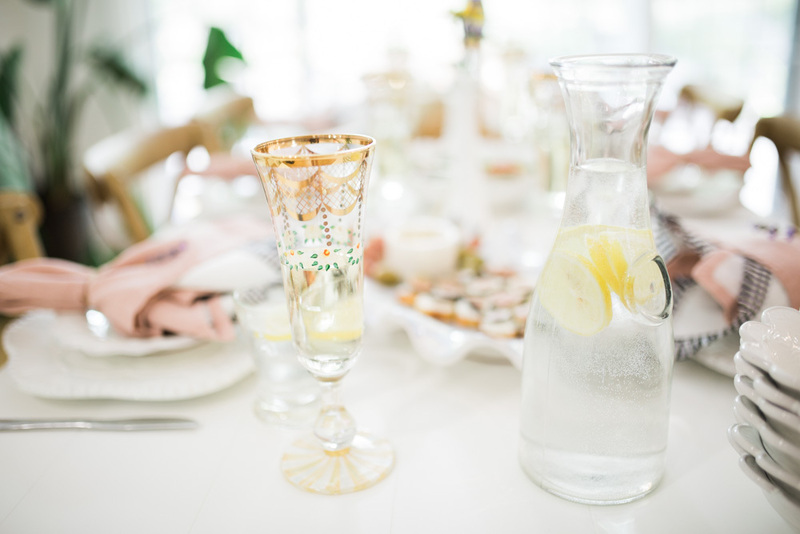 I ordered the water glasses to match after we did this shoot, must layer more lol! 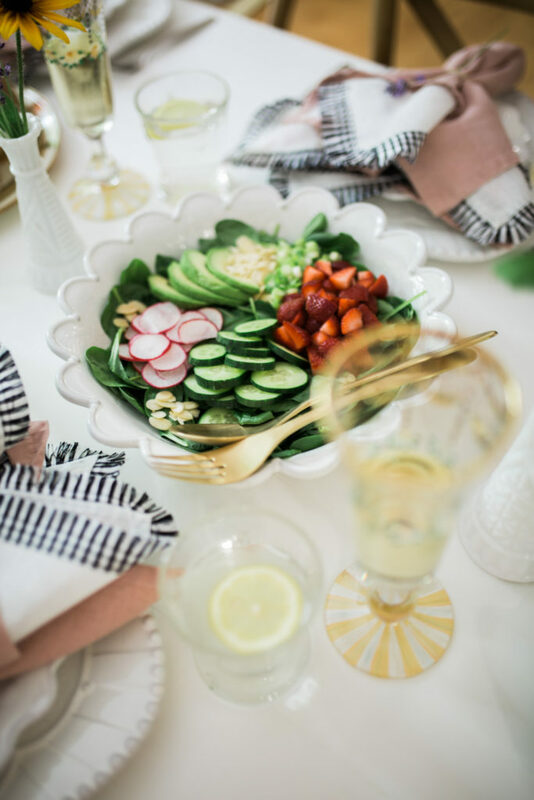 For this table setting we first used the Sweetbriar Chargers, then the Sweetbriar salad plates and then we added the salad bowls from the same collection. I love the soft contrast of all of the different edges of each piece, they compliment each other perfectly in my opinion. What do you think? 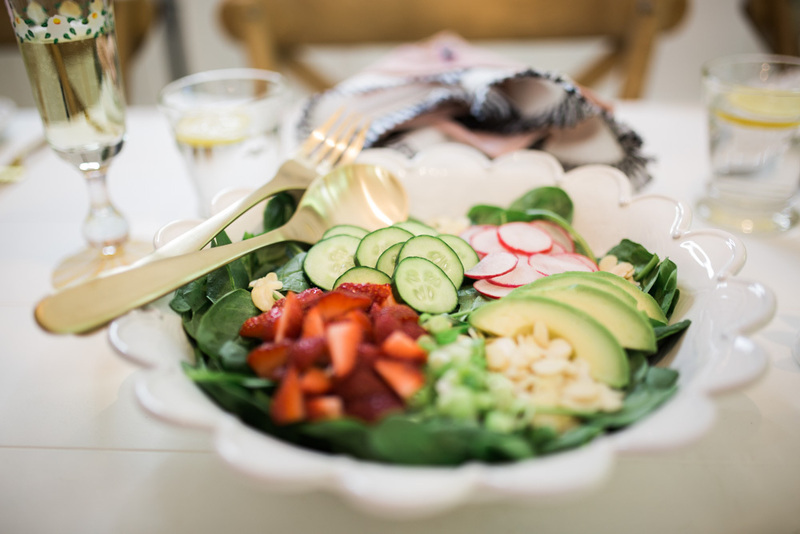 And boy do salads pop in these Salad Bowls and the Sweetbriar Serving Bowl. I’m pretty sure that is part of the reason why I love white dinnerware, how the food shows so well! 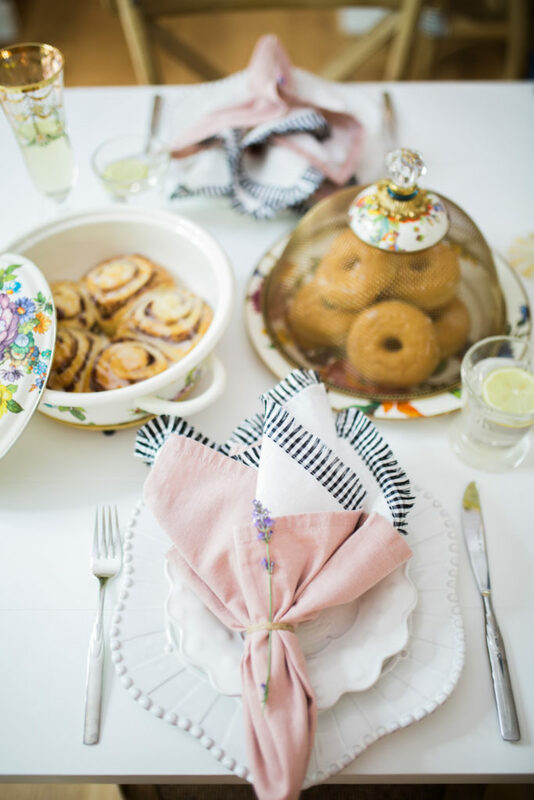 I have to say that another reason why I love the Sweetbriar collection is how the collection works seamlessly with other pieces in my kitchen. 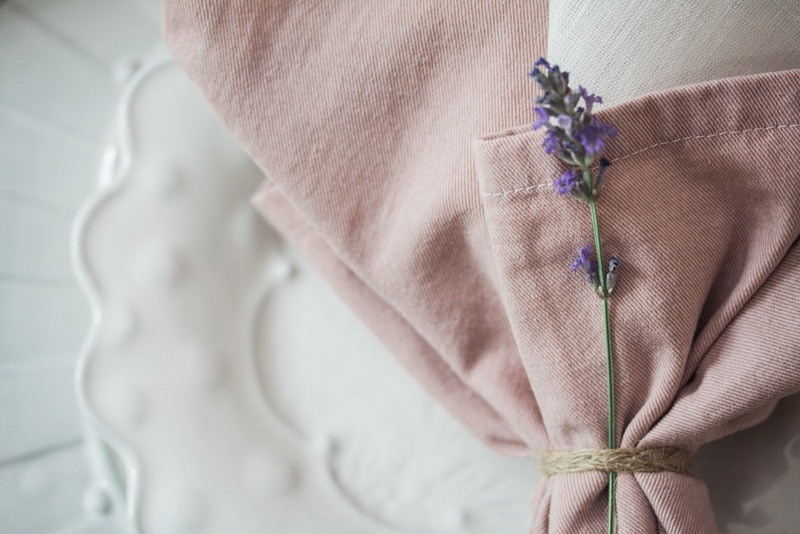 Lastly, we paired 2 napkins for each setting together – I learnt this during a fun table setting class during our Aurora trip as well, I love the look! 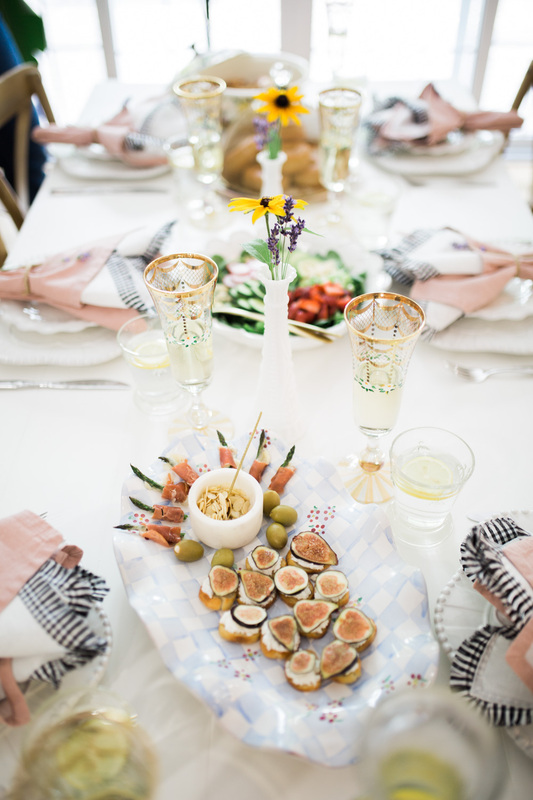 We picked out their Gingham fringe trim napkin in white and mixed it with a simple blush linen napkin and tied some twine around them. It was hard to choose because they have so many beautiful napkins and the gingham trim ones also come in a variety of colours. They have a red one that I’ve already ordered for my Christmas table decor – only 6 months till we hear sleigh bells right? Haha! Okay, let’s talk Flower Market Collection – I know you guys are just as in love with the kettle we ordered as I am. I mean, this kettle!!!! I mean, I simply can’t get enough of it. I am a bit of a kettle snob maybe? I had the same one for years and this was my first time ever trying a different brand. 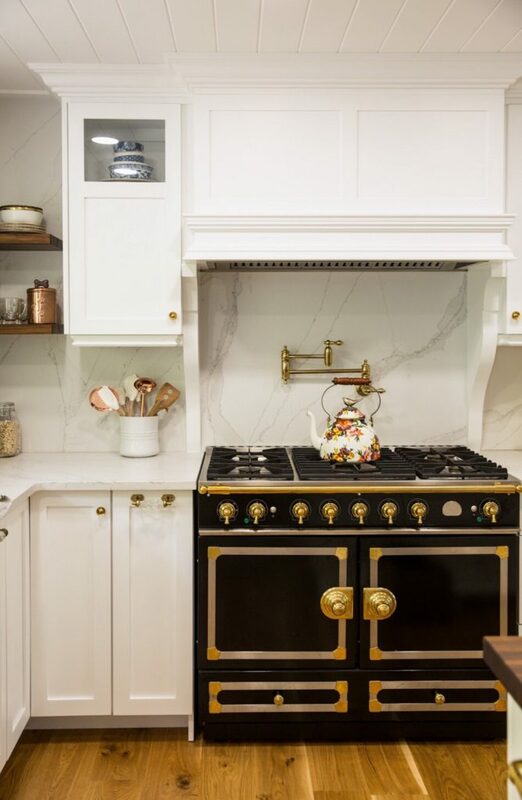 Since our kitchen has a pretty clean backdrop with brass accents, it’s as if this kettle was made to be in here? It fits right in and makes the perfect statement! It comes in a black floral print also if that’s more your style and both come in 2 different sizes. And yes, it boils water just as beautifully as it looks ;)! I had to get a matching Flower Market Casserbole cooker too of course and you can bet your bottom I plan to collect the entire set over time, everyone has their favourite jewellery and mine is totally cookware, pretty cookware! It’s the jewelry in my kitchen too for my range. I love the floral & bird pieces on the handles obviously and everything else about them. 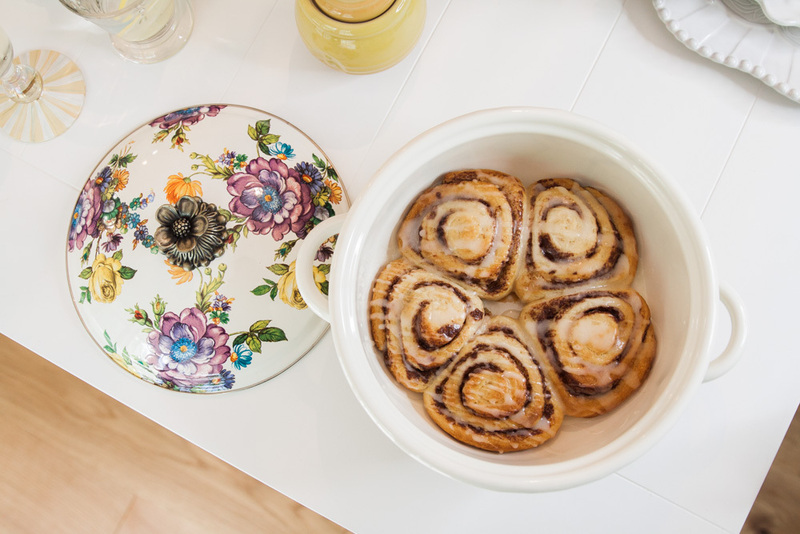 Today we made our cinnamon buns in them and last weekend we made overnight french toast, it cooked beautifully and the casserbole was super easy to clean. I soaked it in soap and water for ten minutes et voila, crystal clean! I don’t have a recipe for the donut cake because I bought those and stacked them together, much easier haha and it always turns out so great! 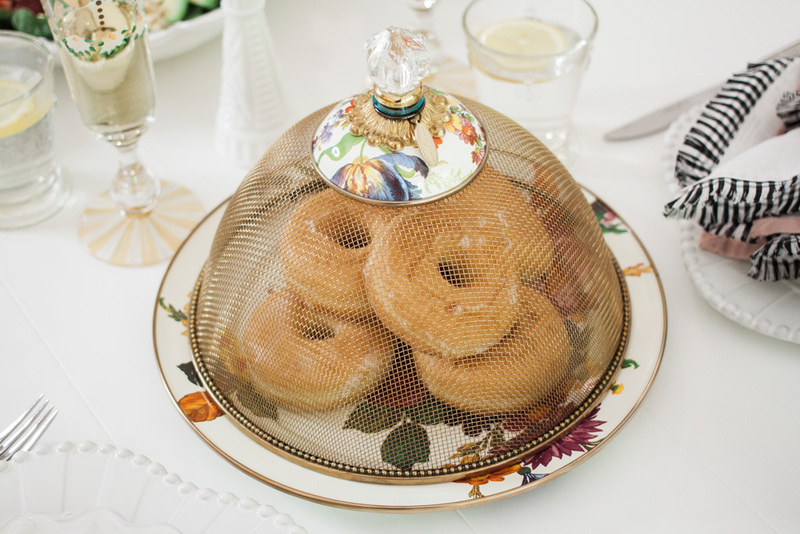 An easy last minute hack I guess we could say – I stacked them on a Flower Market Charger and covered it with the matching Flower Market dome. This dome is perfect for outdoor entertaining as is the Flower Market Enamelware set – safe for big AND little hands! The enamelware comes in a bunch of prints too with other florals and even the classic Courtly Check. sgccleary@gmail.com Please contact us to receive your prize Caitlin and congratulations! Subscribe to this blog, click here or click ‘Subscribe” at the top right of this page if you are on a laptop or desktop! Comment below telling us which kettle you would want to win from all of the MacKenzie-Childs’ styles. We hope you enjoy and stay tuned for another blog post soon where I tell you all about my trip to Aurora, New York with MacKenzie-Childs! 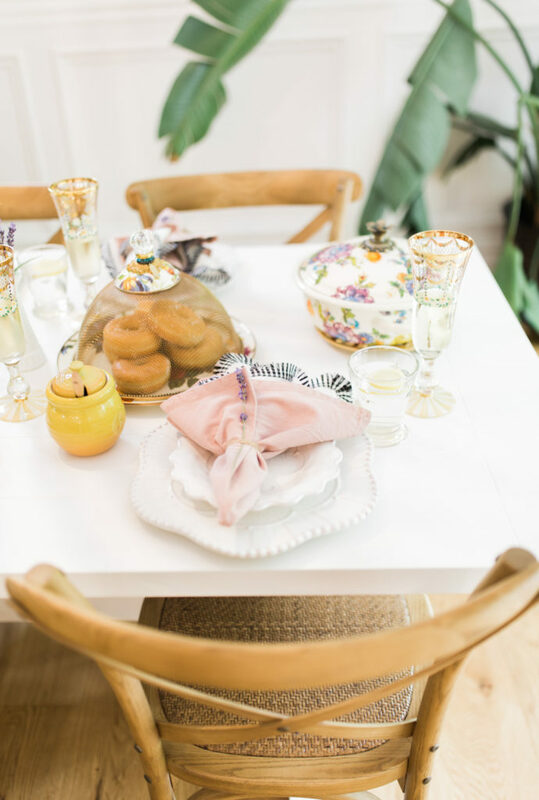 Thank you for reading this blog, we loved creating this fun post for you and we hope it can inspire you to host your next brunch with some of these beautiful pieces. 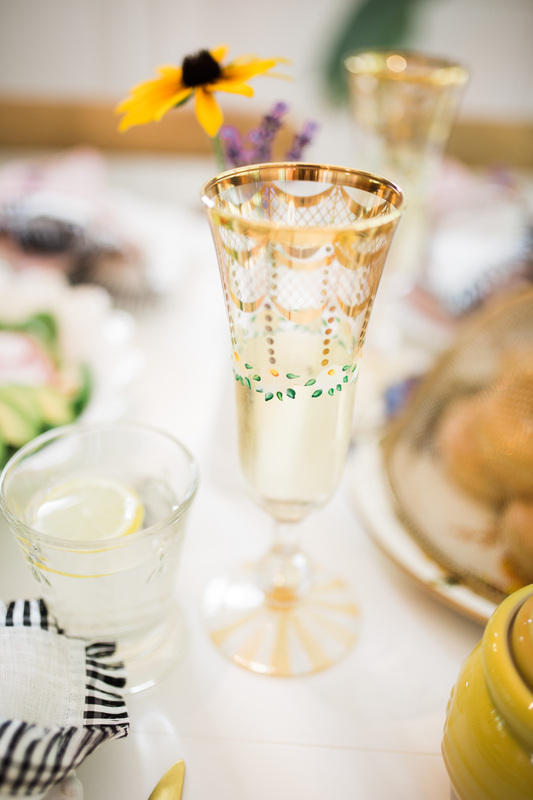 This blog post was sponsored by MacKenzie-Childs but all opinions are my own. What a beautiful collection! I’d for sure want the flower market with the bird as well. So gorgeous! Great images! Id love the flower Market in green. I would love ANY of them! They’re all so beautiful! Love all of these pieces!! I’ve been looking for a new kettle to replace my polka dot Kate Spade – my husband put it on without water and it boiled dry and cracked 🙁 it was so hard to choose but I love the Flower Market 3 Quart Tea Kettle in black! I would love to win the black flower market collection kettle! In love with ots prettiness! Such beautiful pieces! I would have to pick the Flower Market – white kettle! Love this collection. I’ve fallen in love with the flower market 2 quart tea kettle. I would want to get the same kettle you got! It’s beautiful! I like the Flower market kettle in black! Yes they are both so nice! Did you see the black version as well? Good luck! Great choice Jenny, good luck!! I love ever single flowered kettle! But if I had to choose I’d go with the flower market 2-quart-tea-kettle in white. Such a beauty! I ADORE the Courtly Check Kettle with the bird – so charming! OoOoouu! Beautiful tea kettle collection. I would pick the courtly check enamel one myself. 😌 Thanks! Hi Roxanne! I have never ever entered a giveaway before. Why am I entering this one? Because I LOVE these teapots! My mom, grandmother and great grandmother are/were really big “tea grannies”. My great grandmother was from Scotland and drank tea in beautiful teacups from a kettle every day of her life. She passed those teacups down to my grandmother, then my mother, and now I have some of them. Unfortunately we lost her teapot along the way (we have no idea where it ended up) and some of her old teacups have been broken over the years. They are on display in my home, and I use them (cautiously!) for special occasions. I’ve been looking for a really special teapot that I can use and eventually pass down as a family heirloom. These teapots are perfect for that! 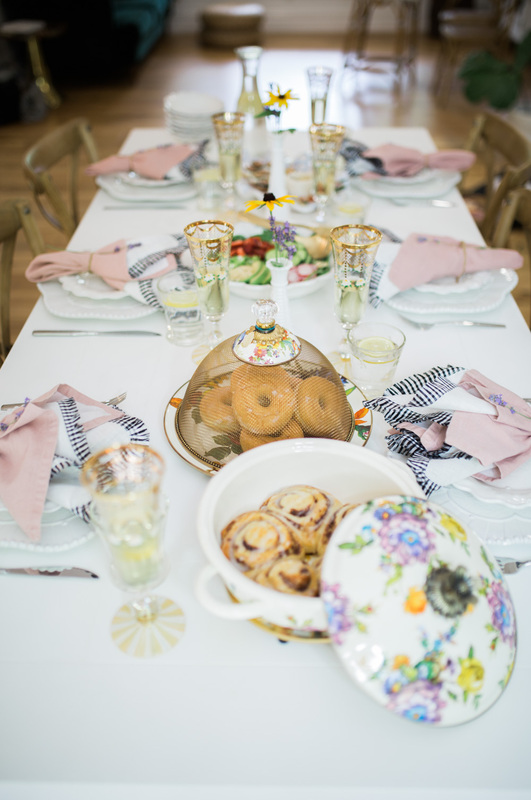 I love the “Morning Glory” print, because my mom loves Morning Glory muffins lol, and I also love the Flower Market teapot in green – because it would fit right in with my kitchen decor. Thank-you for always posting such beautiful content, your blog (and your instagram stories!) are like sunshine on a gloomy day! Flower Market in white 😍 I’ve fallen in love with her prints! I would absolutely love to win the white floral market kettle! Is so beautiful! I always swoon over the floral one in your kitchen! Honestly if I win, any will do! Thanks for setting up such a wonderful giveaway! I am so glad you like it, good luck!! Flower market 3- white. I really love all of the Mackenzie Child’s kettles! ❤️❤️ Thank you for sharing this!! They are such great quality right? And so unique, good luck! I would pick the Courtly Check with bird tea kettle. I’ve been loving your tea kettle. What a great giveaway. I’d go with Flower Market. I am so glad you’ve been loving it Lindsay!! Good luck in the giveaway, great choice! My mom and I did a road trip to Mackenzie-Childs when I was a teen and picked up some treasured pieces she still displays 20+ years later. I’d love to surprise her with another and the Courtly Check whistling kettle would fit right in with her decor. The very kettle you own is soooo beautiful – would love that same kettle for myself! 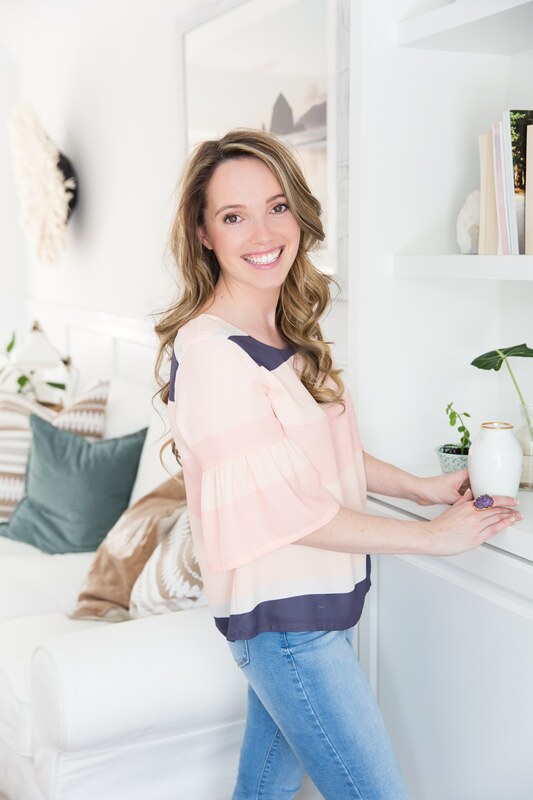 Turns out, you and I have a lot of the same finishes in our home so stumbling across your blog has been a dream! Yay Jessica, that’s awesome. Great minds think alike right???? I am smitten with the courtly check with the bird on top!! 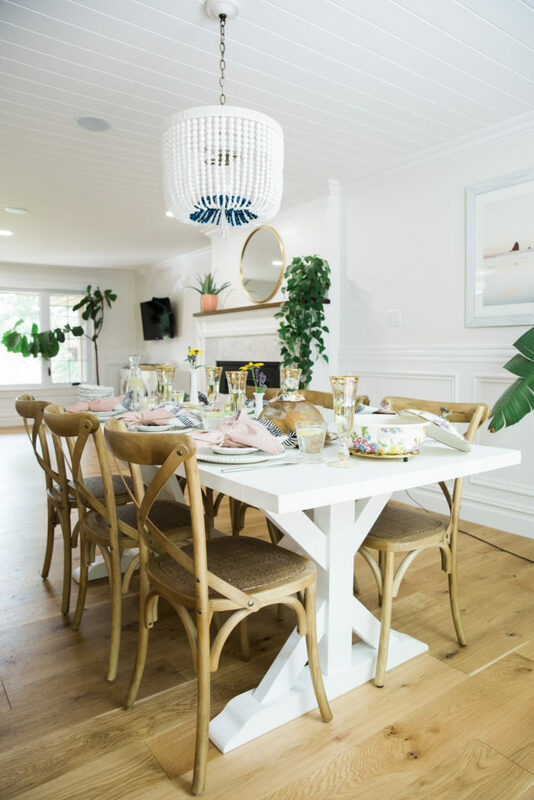 Love this whole collection and your entire table looks beautiful! The flower market collection is so whimsical but I’ve spotted it in black before and it’s spectacular! Thanks so much Lindsay, good luck in the giveaway! I love McKenzie-Childs and it was so fun watching your trip on stories!! What a beautiful place to visit! I love both the Flower Market kettle in white and the kettle with the bird on top, they are gorgeous and so hard to choose just one lol! You always have the prettiest setups! I wish I was as creative! Another great blog! I love the Parchment Check Enamel Tea Kettle. OMG!! I’m in love with all the flower market 3quart tea kettles! The black, the green, the bird…I wouldn’t know what to choose!! WOW! I am in love with this collection! The Flower Market 3 Quart Tea Kettle with Bird and the Flower Market 3 Quart in White.I would be happy with either, they are all so beautiful. 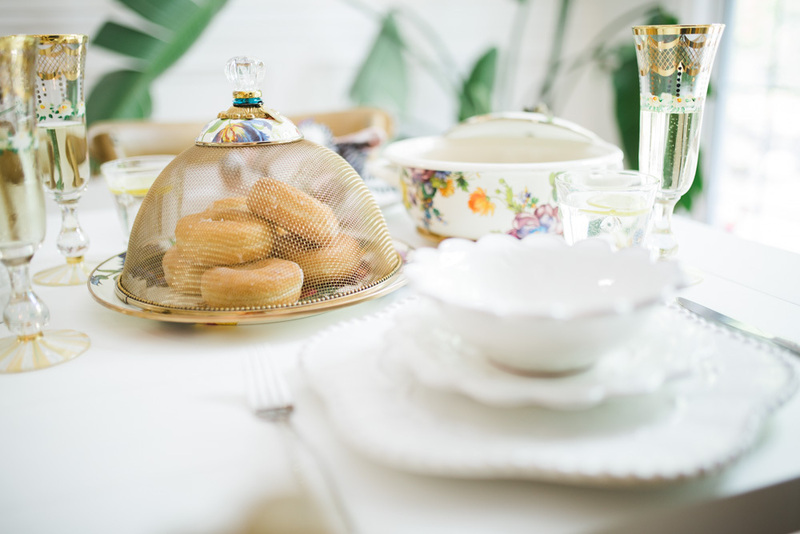 I would love to win the Courtly Check Enamel Tea Kettle – 3 Quart. I love that you’re introducing people to the MacKenzie Childs collection. I came across it some years ago on a trip to Aurora, N.Y. MacKenzie Childs is an amazing place to visit and to see all of the artistic collections of enamelware and home decor. It’s hard not to become obsessed! 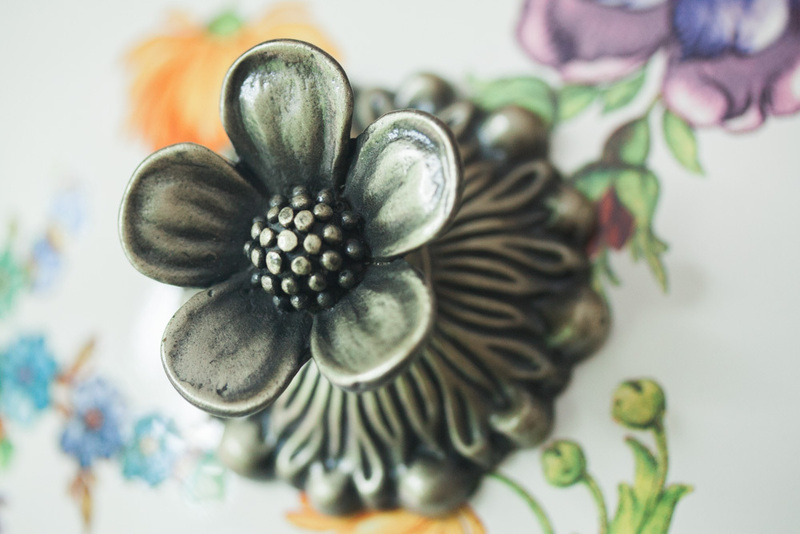 I’ve been able to collect a few small pieces over the years, but I would absolutely love to win the Flower Market kettle! Thanks for giving your followers this opportunity. My daughter has introduced me to your Instagram account and now she really understands why I love MacKenzie Childs! You have made it cool for a new generation! All of the flower market 3 quart tea kettles are amazing! I wouldn’t be able to choose from the black, green, or bird one!! Mackenzie-Childs flower market kettle is literally the prettiest kitchen ware I’ve ever seen! I love the Flower Market 3 in Black! Beautiful styling details. Cu would be thrilled to win a Fliwer Marjet tea pot in black! Hi Roxanne. I am so happy you introduced me to MacKenzie-Childs through your insta stories and blog. There are so many beautiful pieces in their collections. I would love to to win a flower market, 3 quart kettle in black.